Medicaid is the name of a joint federal and state needs-based health care program. Medicaid was designed to help the needy have a means of health care coverage, and it also provides assistance with long-term care and nursing home stays. Medicare is a federal health insurance entitlement program for those 65 and over (with a few exceptions for the disabled and seriously ill) that is funded through taxes and payroll deductions, and provides coverage for doctors visits, outpatient services, and even prescription drugs. It will not, however, pay for nursing home stays past 100 days. Why, exactly, do I care about any of this? Hopefully, you and all your loved ones will live long, full, healthy, fully independent lives and never have to pay out-of-pocket expenses for care or medical issues, and never require assistance outside the family unit until your ultimate demise. Sadly, for most people, this is not the case. Be it a serious disability, illness, or lack of loved ones with the time, expertise, and patience to care for the elderly members of our families, taking care of a growing elderly population is a serious issue. And it is expensive. Really expensive. Without getting into the politics of Medi-anything, or debating if it will be there in ten years, lets just talk about the problems that can arise. The main issue clients find is that it can be difficult to qualify for Medicaid. The best thing you can do is to plan, starting yesterday. So start now. Elderly people fall into 3 categories: rich enough not to worry, moderate means enough to easily qualify, and everybody else. Most of us fall into the latter of the two categories. Lets start at the top. Rich enough not to worry: Assuming you have $1 million or more in assets, you are probably safe to not worry about medicaid. You could give all your money away and qualify for medicaid, but why? You could pay for long-term care insurance, but it is really expensive. You could give some money away, and have medicaid as a backup plan. Still probably not worth it, but it could be prudent. Enjoy your golden years. If you get really sick, then lets talk. Moderate Means: You still likely will be above the limits, but planning will not be difficult. Get someone qualified to help you though, you can always find ways to save a few dollars than don't have to be thrown away. Read on. Everybody Else: To qualify for medicaid, there are two tests: the asset test and the income test. If you bust on either, you don't get qualified. The limits are exceptionally low: $2,094 a month in income, and $2,000 in assets. Think you can game the system? You can, sort of, but the ways to do it are getting more difficult, and the government knows about all of them, so its not really gaming the system anymore. I'll explain. Income: If you make more than $2,094 a month, you can set up a "Miller Trust" or a Qualified Income Trust (QIT). This is a trust that you sign over all your social security and pensions and annuities over to, and everything in excess of the $2,094 limit stays in there. The kicker is that when the Medicaid recipient passes away, whatever is left in the trust goes to pay back the government for footing the bill. It is a bummer, but its fair. Assets: Easy, just give it all away, right? You can trust your kids to use the money to take care of you. Not so fast. The government caught on to this one quickly, and set up penalty periods or "look back" periods of 6 months, a year, and now 5 years. 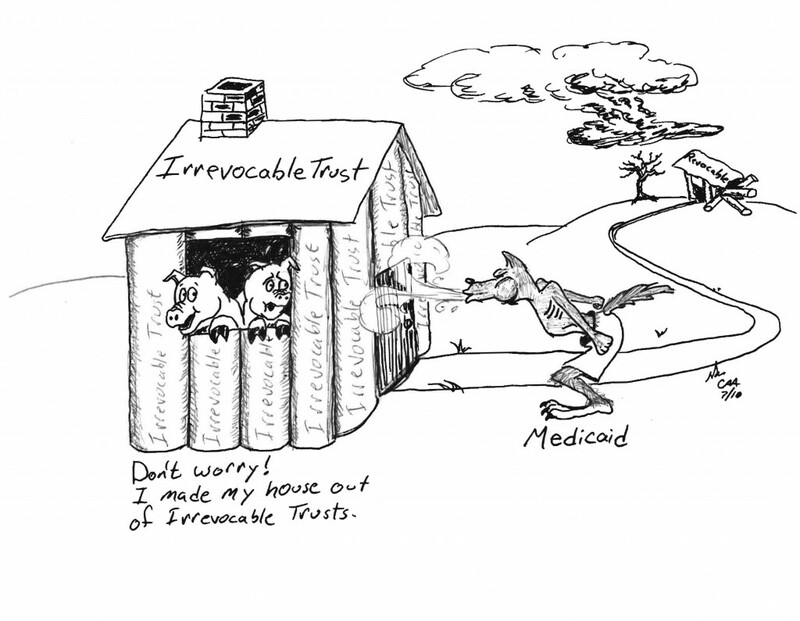 When applying for Medicaid, you have to disclose any gifts made over the last 5 YEARS. That is significant, and why you must plan early. If you can get it out of your name before you need to qualify, great. But you better hope you trust your kids, or whomever you decide to park the money with. Remember, insurance policies (cash value), retirement funds, land that is not your primary residence, all counts against you. How it works: You disclose everything you have given away on the application, and they divide the number by $142.92. The resulting number is the number of days you will be "penalized" and not allowed to start your medicaid eligibility. They used to do it by the month, now its by the day. The number comes from the average cost of a private care facility. For some, this is fine. Get it out anyway you can. Better to the kids than the government. For others, this won't fly. You need care now. Medicaid counts certain assets as exempt: your house (if you truly are going to try and return home), a car, household furnishings, and you can pay loved ones for the time they spend taking care of you. $80,000 over the limit? Go buy a Porsche. Why not? You earned it. I foresee the day when there will be hard limits, but everytime I talk with the medicaid caseworkers, they still assure me they are not denying coverage to Porsche owners. Or fix your roof, and add on a gameroom. This will not penalize you. If you are married, there are special exemptions for your spouse as well. It is tricky, but there are ways to let your spouse (assuming they do not need to qualify) to retain significant assets and income. This is high-level stuff, so talk to an attorney. Ok, we are ready to apply. You have reduced your income and assets. You get qualified. You can rest soundly knowing that your Porsche and your house will go to the kids. Wrong. On March 1, 2005, Texas enacted the Medicaid Estate Recovery Program, or MERP. Read more about it here. What this means is that if you die and Medicaid had to pay your bills, they are going to bill your estate. If you have more than $10,000 in your estate, they can make a claim. What's left? That's right, your house. And Porsche. They got on you the back end. There is a way around this, for now. In the past, you were limited to gifting your house and car away, or placing them in a special trust. Now, the Department of Health and Human Services has officially recognized a special type of deed called a "Ladybird Deed," or more commonly an Enhanced Life Estate Deed. Allegedly named after the former first lady (debatable), the enhanced life estate deed is essentially a Payable on Death designation for your home similar to what you can use on a bank account. You keep everything like it is: you live there, you own it, you can sell it, you can swap it, but if and when you die, it goes to someone else. Why? If the house is not in your name anymore, and it is not, as the LadyBird Deed transferred it at the second of your death, it is not in your estate. IF it is not in your estate, then the Texas MERP program cannot go after it to pay your debts. There is a similar process for your vehicle as well. Now you keep what was yours. Your estate will still likely get a letter from MERP, but you just kindly write them back and tell them there is not anything there. Sorry, MERP. Medicaid and Medicare can be good things. They can help you when you need it. They are not for everyone, and they were not designed to be. It can be difficult to qualify for Medicaid, but it is doable. There are also ways to qualify without spending yourself under the poverty line. This, however, is difficult, so get the best help you can. It is money well spent. Yeah, actually I've been thinking about the Obamacare and I realized that the only reason the government has been wanting to push through the project is to be able to service and provide those under the said health care a proper health service without paying too much. As you know, recently we visited everett medical clinic and good for us they are acknowledging these sort of packages or deal that's why didn't really pay too much. 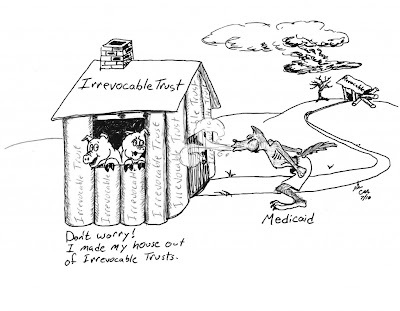 Having a medicaid or medicare plan are just two of the best asset protection strategies a person can have. You can choose between the two what you want. One must always keep in mind that spending money in a good way is by investing something for your health. That’s why we’re very thankful that we’ve applied for Medicaid and Medicare for our grandmother whose in the terminal in home care services right now and enjoying the benefits of these programs. When you think of asset protection strategies, the first thing that must come to mind is our health. It must be our top priority and we should always plan for the worst, getting an account of medicare is a good contingency plan. That's really my only problem with medicaid. In a strange turn of events, I still get to pay for my own bills. And they said that the government is supposed to provide affordable healthcare for all. Thanks for posting a comment that didn't have some spam/link in it Laura. It will take some time before the Affordable care act kicks in, but for now just keep educating yourself on the best rates from as many insurance carriers as possible. We are all in the same boat. What sort of smart tuition complaints are you concerned about?